Relocating to a new house is stressful enough without having to worry about the logistics of an entire move. So when it comes to the heavy-lifting (literally), leave it to the professionals — professional movers, that is. Experienced Saint Paul, MN moving companies consist of expert movers and packers who can efficiently pack, move and assemble your Saint Paul belongings to ensure that you get off to a good start in your new home! 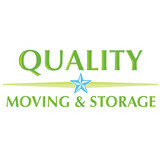 Call Good Stuff Moving for the very best service at the very best price. At about 50,000 moves for families and businesses since 1999, our experience gives you five customized moving options as well as packing and storage solutions. You can pack your own belongings or take advantage of our complete pack and move service. 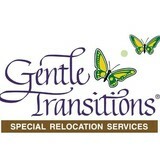 Packing supplies are available with free boxes offered for Twin Cities and suburb moves. We can provide full-service, climate-controlled storage or warehousing. Fully licensed and insured, our trucks are clean and fully equipped to safely service local, intrastate, long distance, residential, and commercial moves. Our careful staff treats your possessions with care and respect. We can accommodate short notice or last minute moves based on availability. The customer is #1 with Good Stuff Moving. 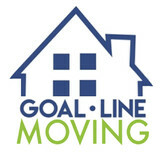 Contact us today for a free moving quote. Rose’s Daughters Celebrates Their 15-Year Anniversary in Business Move Management Company Specializing in Senior Moves Continues to Grow Rose’s Daughters, a move management company specializing in senior moves for the mature community, announces their 15-Year Anniversary. Eddie McGill, after moving into the role of owner five years ago, has continued to grow the company in the industry as a leader in the market with their packing and moving solutions. This continued success is based on sustaining one-day moves for most projects, having the owner involved in every move and a small staff committed to a true heartfelt devotion to every customer. To remain dominant in our industry, Owner Eddie McGill said, “We have stayed true to our core beliefs with our customers. They appreciate our personal touch approach. I couldn’t be happier reaching this milestone in an industry that helps so many people who are adapting to a new living situation or just needing our services to improve their quality of living.” In keeping constant with their core beliefs, Rose’s Daughters approaches every customer with the following methodologies: Provide professional move-related services with respect and understanding to our customers and their families Handle every move with a personal touch Use our superior industry knowledge and a real understanding of the issues to make our customers’ moves as stress free as possible Offer strategic counsel, creative solutions and timely, responsive move services About Rose’s Daughters: Rose’s Daughters is a move management company based in Bloomington, MN. Founded in 2002, Rose’s Daughters has downsized, uncluttered, organized and moved thousands of people in various situations of living in the Twin Cities and surrounding area. Rose’s Daughters is a member of the National Association of Senior Move Managers (NASMM). They continue to do for their clients what a daughter would do for a parent. In 1901 Johan Alfred Backdahl, Owner of Backdahl’s Drug store purchased two horses and a wagon to help with deliveries to his customers. In 1906 Axel Backdahl began helping those same customers move belongings from houses in the City to country cottages and back, renaming the company “Backdahl’s Moving”. In 1931 Carl Backdahl & Milo Backdahl incorporated as Backdahl’s Uptown Transfer. In 1979 Dennis and Barbra Backdahl took over operations of the company. Four generations the Backdahl family have provided the same high level of service, experience and overall satisfaction for their customers. Today operations are overseen by Todd Backdahl & Krista Backdahl–Kamp.